Tommy’s Paint Pot has been locally owned since 1954. We are a family run business that is a proud independent retailer of Benjamin Moore® paints. Our independence encourages us to carry the best products and tools for the perfect paint job - inside or out. It creates an innovative atmosphere that ensures our customers receive best-in-class products, and service from a responsive local company. Tommy’s Paint Pot is dedicated to the ideals of the independent paint and decorating retailer. 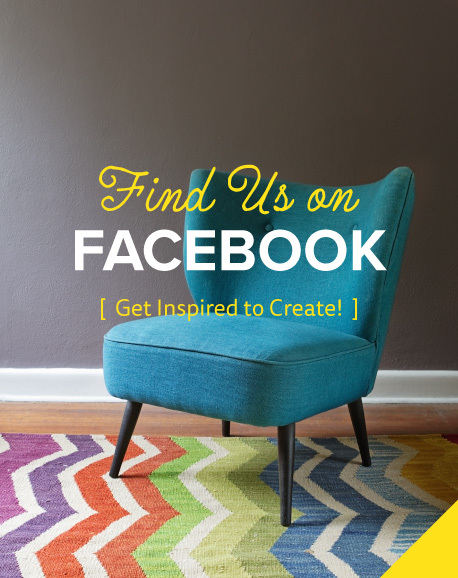 We invite you share your next paint project with us by stopping by our store. We offer expert guidance and advice based on years of experience and even have a certified color consultant to help you select a color you’ll love. Tommy’s Paint Pot has a long history in Eugene, Oregon. Originally, the store did business at 1149 Willamette Street and was known as the McKenzie Pabco Paint Mart. The store was purchased and renamed by Burle G. “Tommy” Thomas in 1954. Tommy had served with General Paint Corporation for 24 years before the purchase. He ran the store for 18 years before retiring in 1974, ending his 42-year career in the paint business. His wife Velma ran the Wallpaper and decorating department until her passing in 1972. In 1974, Leland Howe purchased Tommy’s Paint Pot from Tommy and reopened it across the street at 1210 Willamette Street. Shortly after, Leland sold the store to Stan Moore who ran it for another 20 years under the Tommy’s Paint Pot brand. In the ensuing years, Tommy’s Paint Pot grew and moved from its home on Willamette St. to new locations on Bailey Hill Rd. and Coburg Rd. It was then sold to Benjamin Moore® corporate in the late ‘90’s. Vern Bond, his son Craig, and his son-in-law Roy, bought both Eugene locations and opened a Portland location in 2002. Vern was already a well-established veteran in the paint industry, having spent 38 years with Miller Paint by this time. The Coburg Rd. location was closed in December 2003 and, in 2007, the remaining store was moved from Bailey Hill Rd. to its current location at 1000 Conger Street. Vern’s son, Craig Bond, now owns and manages Tommy’s Paint Pot. In 2012, he opened a Tommy’s Paint Pot location in Salem at 980 Lancaster Dr. NE, and in 2019 he opened another location in Corvallis at 1810 NW 9th St. The three stores offer an extensive selection of paint, essential tools, and expert guidance and advice. Even though Vern is technically retired, as is the case with many family-owned businesses, you’ll see him at Tommy’s Paint Pot in Eugene helping customers or just giving a friendly Hello. With decades of experience in the room, there is not a paint question that cannot be answered at Tommy’s Paint Pot. We’re an Independent Benjamin Moore Retailer. Though you can buy paint at big box stores, it is much more difficult to find the quality finishes produced by Benjamin Moore® or the expert advice or personalized service of an independent retailer like Tommy’s Paint Pot. Making paint since 1883, Benjamin Moore® paints are sold exclusively through independent retailers. Their independent retailers offer the best overall shopping experience that contributes to high customer satisfaction and loyalty. We want to give Homeowners the colors they love and help architects and designers exceed their clients’ dreams. We help contractors build successful businesses by supplying them with high-quality products. At Tommy’s Paint Pot, we take pride in knowing that we will provide you with everything you need for a perfect paint job. We have all the essential tools, appropriate paint products, as well as guidance on how to complete the job with ease. We encourage you to call or stop by Tommy’s Paint Pot, a paint store where you will feel comfortable in knowing that your successful project is our goal and priority.